This blog is not for families living with autism as they are well aware of this information. This blog is for you, the American taxpayer not living with autism in your life. You need to care about autism because you know what – your taxes are about to skyrocket. Please read. The parents of children with autism often have to cut back or quit work, and once they reach adulthood, people on the autism spectrum have limited earning potential. Those income losses, plus the price of services make autism one of the costliest disabilities – adding $2.4 million across the lifespan if the person has intellectual disabilities and $1.4 million if they don’t, according to a new study published in the journal JAMA Pediatrics. This study is missing all the costs. The costs that parents of families living with autism face are much higher. There is an average cost of $60,000 per child with autism every year. But this is another study and an estimate. In my experience based on 14 years of TACA parent feedback, I would say that this estimate is low. – What happens when parents die? The cost to institutionalize an individual is $100,000-$200,000 per year. And please note, individuals with autism typically live as long as other people in society. I also know these costs vary based on the individual and their needs. – Special education costs are soaring and have never been fully funded through IDEA (4.) Some of the funds are pushed from regular to special education which are still inadequate to fund services. – Legal fees to fight parents in order to not pay for needed services come from your tax dollars. There are no punitive damages for school districts who do not deliver on IEPs and the important services they are supposed to provide. It’s a pay now or pay later penalty. A great Fox news story covered the reality of the new survey estimating autism costs. The families interviewed agreed that the estimate is too low (5.) I love this news report because it highlights the truth. The realities we should face and the families we should help. I am missing other costs such as when families need counseling because of the stress they must live with daily. The cost and huge toll on families who divorce. What happens to the other children living with sibling diagnosed with autism? We haven’t even calculated the potential future costs there either. But there is good news. Before I share the good news, please note that TACA is not a research facility we are a small non-profit with an even smaller annual budget. 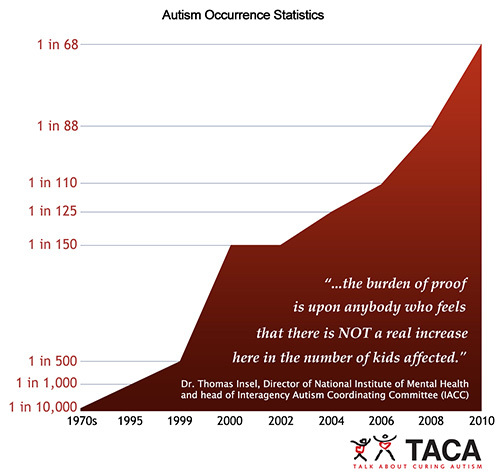 From the small sampling of data that we have gathered at TACA over the years, (where we have tracked children diagnosed with autism under the age of 2) if they received early intervention and medical attention unique to their needs, they had a 75% opportunity to have the diagnosed removed by Kindergarten. This is a small sampling of less than 50 families. None the less, the results are impressive. As taxpayers you should want to make that investment early, so these individuals become future taxpayers when you will need help collecting social security later in life. We should and need to invest. Research needs to be placed in this critical area. This blog could go on for 10-20 more pages. I am passionate about this cause because I live it and work everyday on behalf of families living with autism. I care. But here’s the deal I need to get you the non affected tax payer to care. This is a complex issue affecting America’s youth. You need to care. You need to learn more. We need to start caring and acting for a better future of our children. 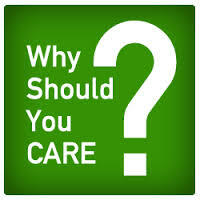 We must care because we cannot afford the future ramifications. The best and the brightest are going to be needed to come up with the right solutions. We must act now. And the window to help your child never closes. It is always a great time to GET STARTED regardless of your kids age. Hi Lisa – thanks for sharing this information. Regarding your study with 50 families, you mentioned 75% had diagnosis removed. My son was diagnosed when he was 1.5 years. We are doing diet, bio med( on ur advice:)), homeopathy, therapies, osteopathy and everything else under the earth. I am very eager to learn about the type of autism (HFA, pdd-nos, retrogressive, etc) and what intervention helped for these families. Secondly, if I can help expand on this research or do more study please let me know. My background is in analytics and finance. Excellent article! I’ve shared on my FB page with comments! Our son was vaccine-injured at 15 months, diagnosed with autism at 2 years old and is now 22. He is handsome, sweet, smart, but still pretty non-verbal and needs constant supervision for his safety. When I add what the school system, Tricare, Medicaid, and we have personally spent on Rob, the total is well over a million dollars! He is going to blow $2.4 million out of the water!